Showing results by narrator "Jethro"
Justin Bieber has been a major player in today's pop culture world. Would you like to know how this young star got where he is at today? Would you like to know what his beliefs are, who he has and is dating? It's all right here. 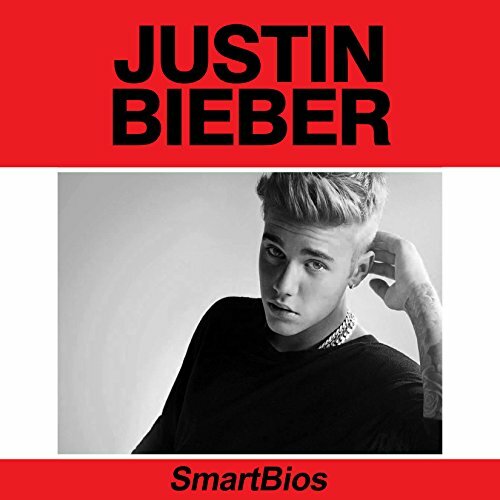 The full and complete biography of Justin Bieber. Women write horror and have written it since before Mary Shelley wrote Frankenstein. 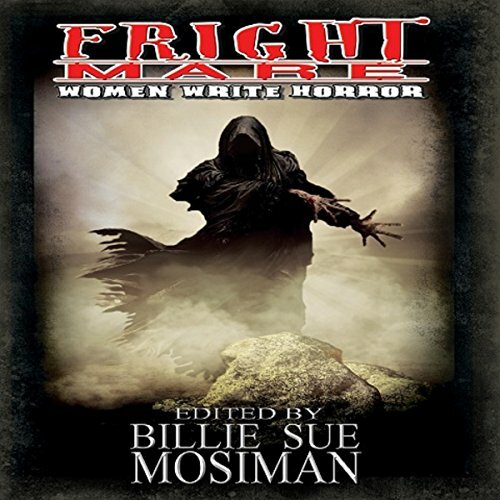 This anthology highlights the fact that women write great horror and kills the fallacy that they aren't in some way up to standard. They are. Hear stories by Elizabeth Massie, Nina Kiriki Hoffman, Lucy Taylor, and a plethora of other great writers as they work on your nerves, get inside your head, and bang out some of the scariest tales written today. Lock the door and windows, put on a light, and remember, it's not real. 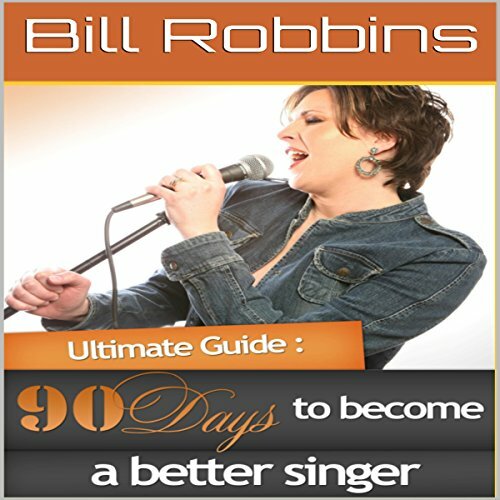 Discover exactly how to become a better singer in just 90 days using an insider's action plan to increase range, clarity, and quality! The world is a complicated place. When current events make us feel worried and sad, more than ever, a little mindfulness is needed in the world. Kids unite! 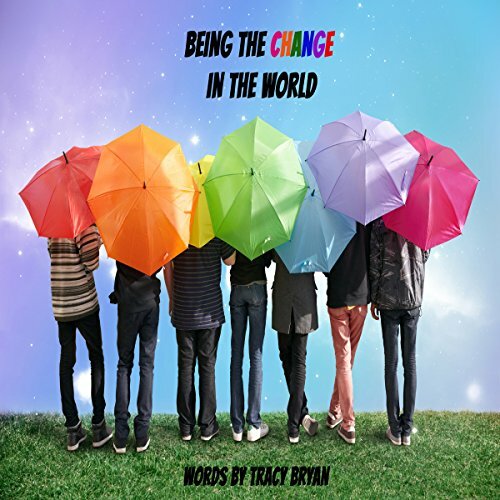 You can be the change that the world needs! Ease your worries with this little pocketful of mindfulness thoughts and activities. Learn new ways to see the world and help make it a better place to be! What creates and constitutes success? This is a question that people have been asking since the beginning of time. Today's society fuels many misconceptions regarding what creates success. 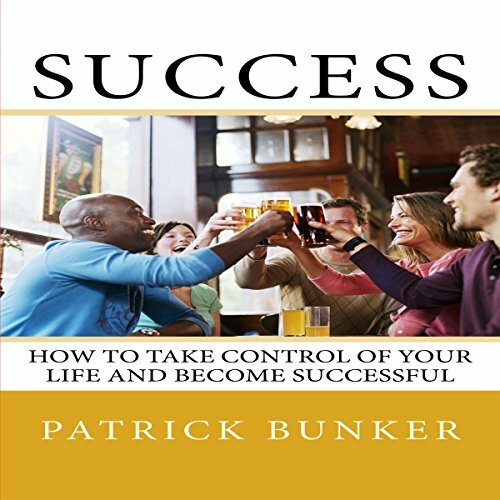 This book was created with the intention of helping people understand and discover the true meaning of success. This smart and informative book is quick and enjoyable to listen to. You will learn how success brings many opportunities to celebrate. Join Jethro for The Cornish Ambassador, the brand new show from the man with more than his fair share of shaggy dog stories and other nonsense! Plenty of kooky comedy capers and tall tales from the inimitable comedian so come on and enjoy a portion from the man who’s irrepressible, irresistible and un-missable! Welcome to Hawkes Eye. Inside, you'll find the first of my anthologies. Listen and enjoy. And tell a friend. JeThRo will have you in stitches with his mixture of sketches and stories including Posh & Becks amongst many others. With his cheeky tales from the pub to the gates of the church and then back to the hilarious stand-up tales. He's Big, he's Beefy, it's the funny man from Cornwall! (must be the cream teas), JeThRo, will give you GIGANTIC belly laughs as he spurts forth his hilarious observations on life, for example... sheep chasing in Wales, and how lucky women are to sit down to pee when men have to aim at a moving target...that's daft that is! And there are stories to tell about JeThRo's friend, Denzil Penberthy, who gets very confused at the smallest things... what do you take to the Antiques Roadshow? and How do you get dogs muck off your shoe? He is one of Cornwall's finest exports, less tasty than a pasty, but far more entertaining. 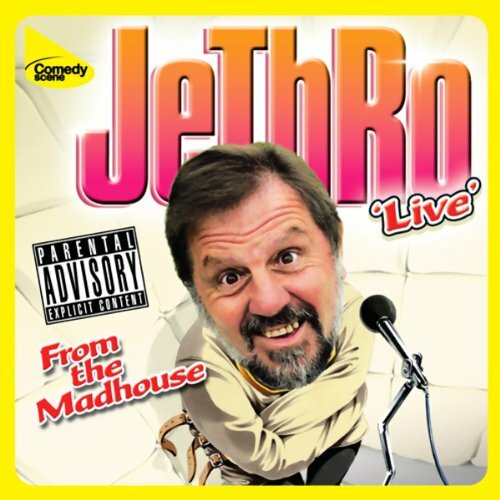 Jethro returns to the live stage. Sit back and enjoy the daft jokes and stories from the Westcountry's favourite comedian. His bizarre tales and yarns about Denzel Pemberthy and his nutty life experiences, including crazy sketches with his friends and foes, will have you screaming with laughter. Recorded in Falmouth while on tour during the summer of 2006. 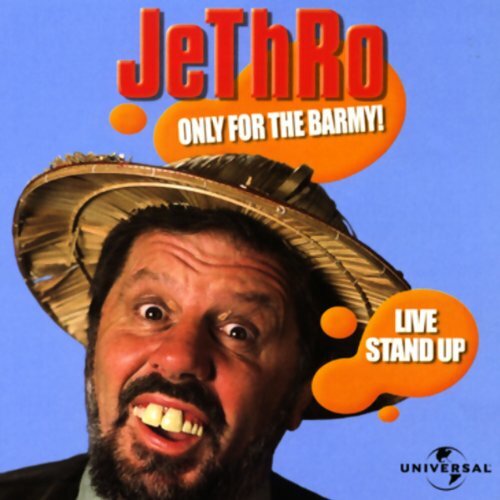 Live from The Hall for Cornwall, Truro, comes another classic helping of JeThRo. In front of this lively home crowd JeThRo shares his hilarious observations on life. Enjoy JeThRo's amusing perceptions of theory and reality and catch up with Denzil's latest exploits. 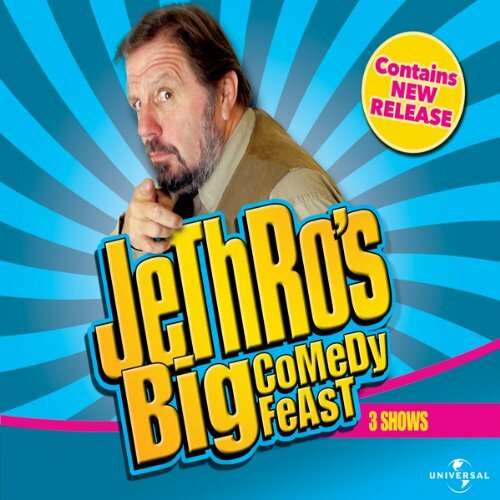 If you think you know Jethro's most hilarious jokes then think again! 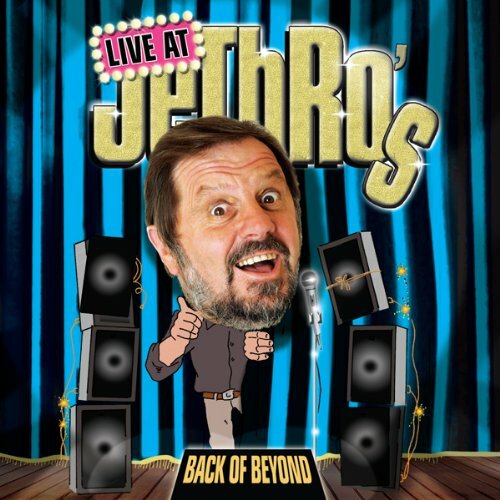 For the first time, enjoy the very best of Jethro live - from Salisbury to Somerset, Worthing to Wisbech and of course Live at Jethro's, it's time for a Giant Portion of the daft and barmy from your favourite Cornishman! Jethro spins side-splitting yarns with a little help from Denzil Pemberthy including Olympic and dog-swallowing condoms, being hospitalised by a hoover and banned from a supermarket. He's back again - loud, live, and lewd as ever - out on tour and entertaining the masses from the countryside of Cornwall to the bright city lights of London. 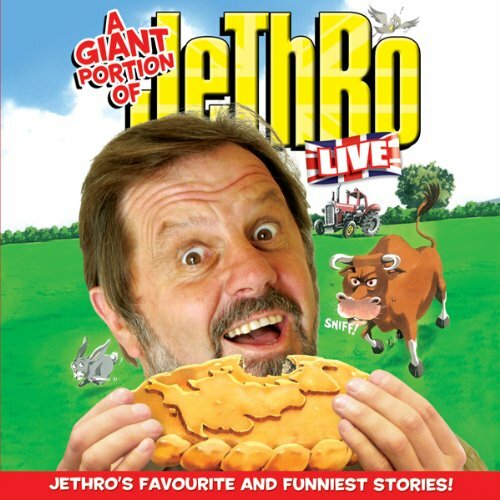 Whether he's talking about his days in Cornwall, filled with bizarre tales and exploits, or carrying out classic sketches, Jethro will have you cracking up at his observations. From life with the wife to the ways of the West Country, Jethro is sure to have you chuckling.